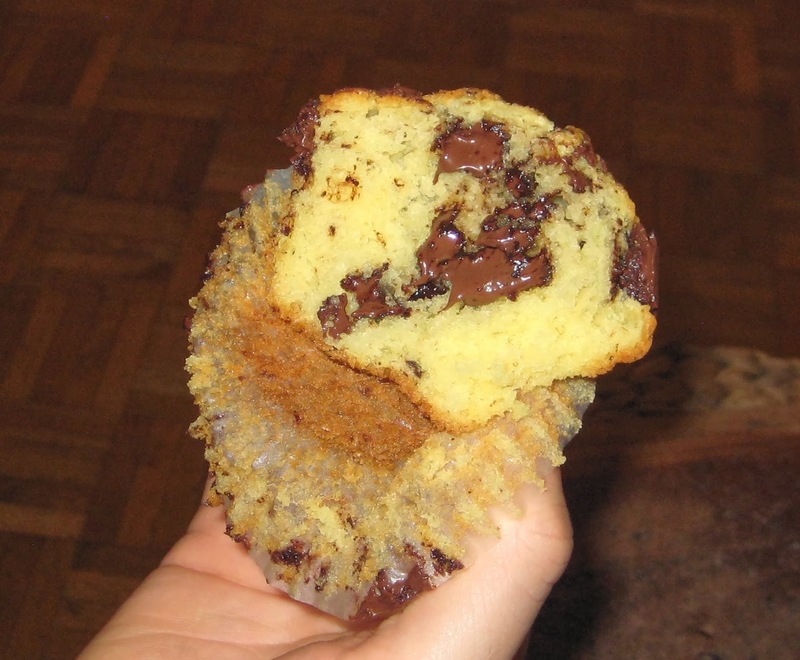 Melting chocolate in warm muffins is just unbeatable! 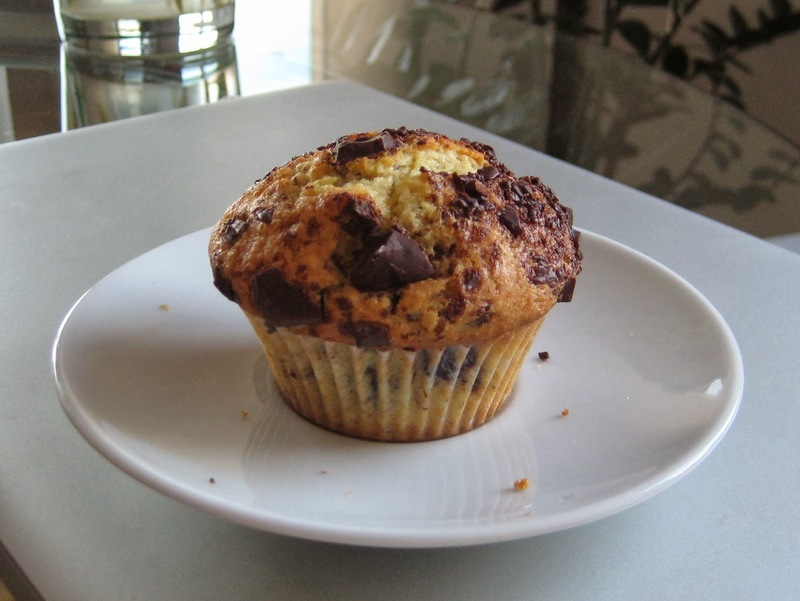 Last night I was craving chocolate chip muffins. 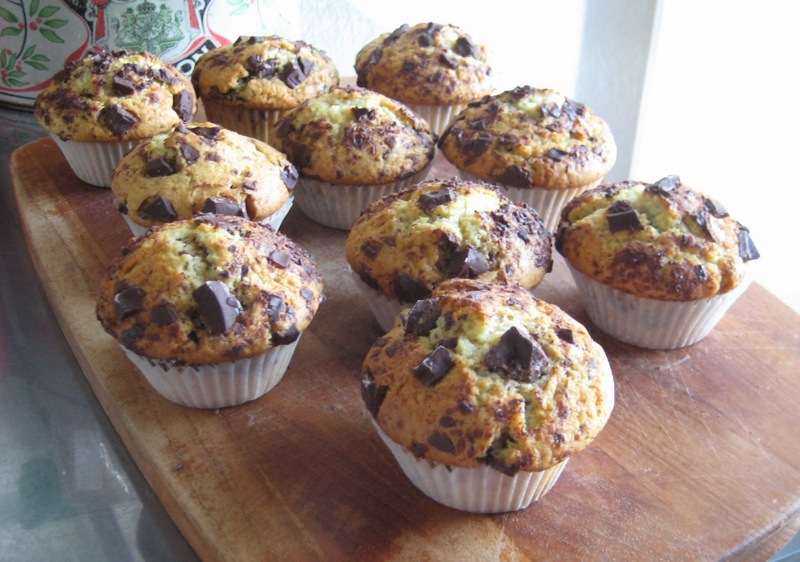 You know, those moist muffins with melted chocolate pieces inside that will make you gain 5 kg only by looking at them. Well, I had many of those during my time at Brown (which may in part explain the superfluous kg around my waist) and I loved them. I really did. 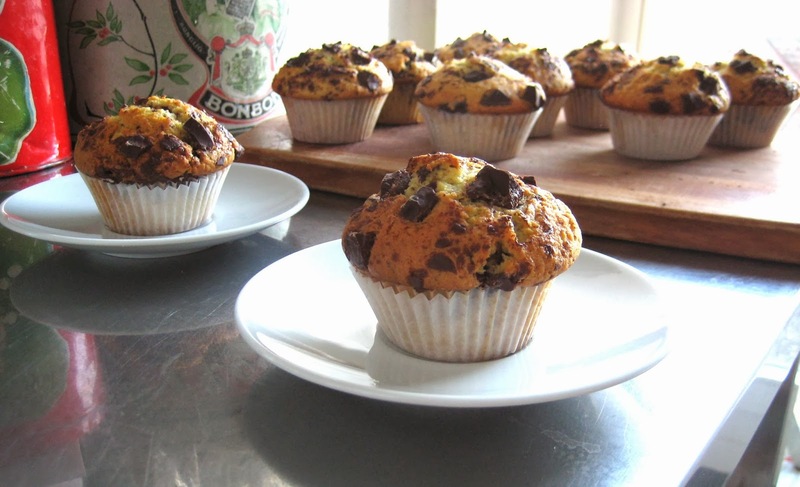 So I went on an expedition to try and (re-)create those viciously delicious muffins. Mix dry ingredients in a bowl. In another bowl whisk wet ingredients together. Mix both together only until roughly incorporated. Add half of chocolate chips to dough and mix roughly. 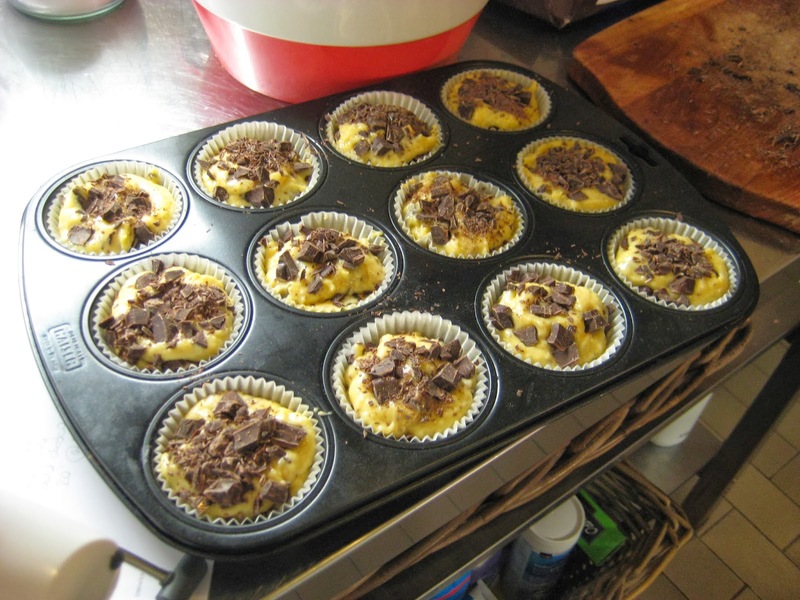 Divide half of dough into muffin cups / pan. 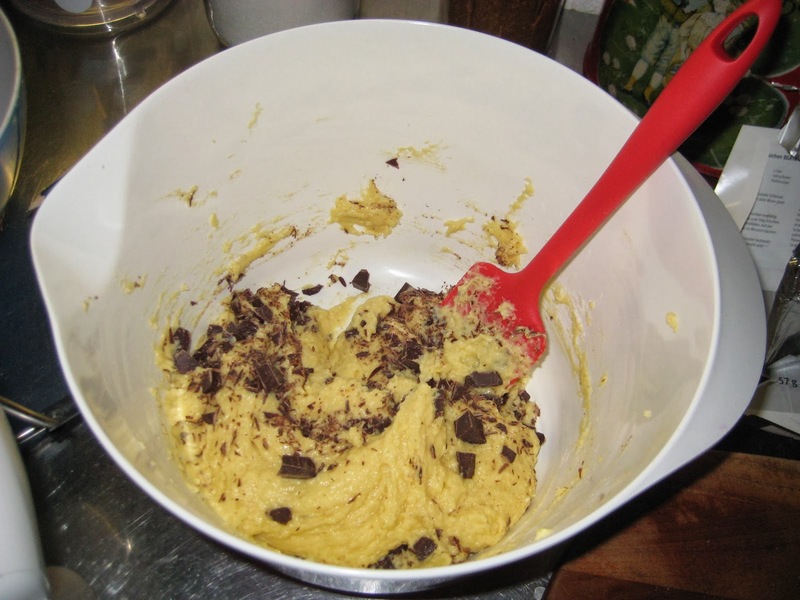 Sprinkle some chocolate chips on the divided dough. 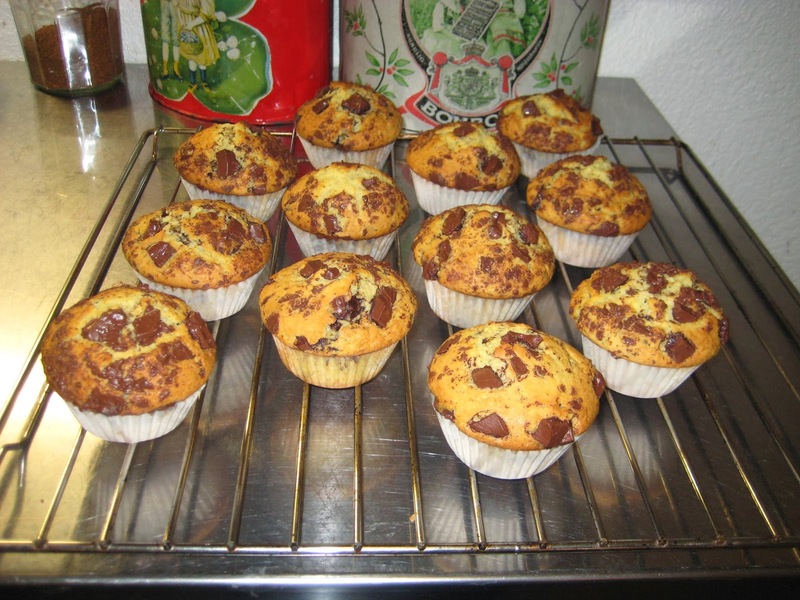 Add the second half of the dough in the muff forms and sprinkle the rest of the chocolate chips on top. Bake in the oven 20 min at 200C. thank you Jana :-D I'm happy you enjoy them!